In a world becoming increasingly eco-conscious, the word naturality has become part of our regular if not daily vocabulary. But this word, that may sound trivial at first sight, harbors different meanings and applicability, depending on the individual employing it. In the last few years, nature has been in the center of the conversations especially from an environmental perspective with climate change issues being a worldwide concern. In an effort to improve our impact on the planet but also on ourselves, consumers have started to shift their habits with an increasing demand for naturalness, locally sourced beauty products that are respectful of the environment and of human health. This phenomenon is not just a trend, it has become a lifestyle, synonymous of healthiness, that has been observed in industrialized countries for some years now not only at the personal care level (1), but also in the food industry, textile, automotive, etc.…. Most of the established personal care companies now carry a sustainability program. To name a few: J&J with their citizenship and sustainability approach; L’Oréal with their Sharing beauty with all (SBWA) program; or Natura Brasil, founding member of the Union for Bioethical Trade (2-4). In the past years, new brands have appeared with a strong imprint in naturality, that is not only reflected in their actions and products but also in their name: Yarok, which means “green” or “pure” in Hebrew, develops organic and sustainable hair care products; Ajali, a brand from Nigeria, which name means “red earth” or “sand” in the local language, produces handmade natural cosmetics with local ingredients from West Africa and in tight partnerships with local farmers (Mintel 2018). China is also joining this movement with companies sourcing natural ingredients (Maysu) pushing for a change in consumer’s habits. According to a Mintel survey, 45% of Chinese women are planning to use in the next few years products with natural herbs or plants (1). Similarly to the brands, cosmetic ingredients suppliers with a chemical, biotechnological or natural ingredients profile have joined the movement and communicate more and more about the implementation of naturality in their products. As explained recently by Monique Simmonds from the Kew Royal Botanical Gardens (5), plants have an aura that have fascinated individuals for years, especially because plants are very clever and have developed several ways to adapt and protect themselves from harmful situations, making them attractive materials for consumers. In the quest of mastering nature and offering natural materials that would bear the strength of Mother Nature, but be safe and respectful of our planet, suppliers have to follow some specifications and be knowledgeable about local and global cosmetic regulations, which can sometimes alter the choice of the raw material. For instance, in some countries, certain plants are considered as medical drugs and thus cannot be used to develop a cosmetic ingredient. Additionally, sourcing natural resources is also subjected to local laws on biodiversity preservation (the Nagoya protocol) (6-7). A great example for sourcing naturally-derived products is the Amazon forest that carries exotic plants with a variety of beneficial actions, but which supply needs close monitoring to avoid both plant toxicity and species disappearance. Interestingly, one approach followed more and more, and advertised by companies and raw material suppliers, is the collaboration with local populations to cultivate and/or supply local plants in a respectful way. Lastly, another aspect associated with naturally-derived products is the variability they can present. Unlike chemically synthesized molecules, easily reproduced from one batch to another, products coming from nature evolve and change according to environmental challenges. This applies for any supplier elaborating naturally-derived raw materials and it is especially true for those developing natural active ingredients. Mastering nature requires some tricks to guaranty the efficacy, the safety and the reproducibility of naturally-sourced ingredients. Thus, the right questions should be asked from the beginning: which plant has been selected? It is important to carefully identify the plant of interest, starting with its correct name (often Latin based). What is special about this plant? Does it bear specific features that could help with its identification and could perhaps relate to its functionality? Botanical and chemical-physical analyses can be helpful to assist answer these questions and avoid confusion or falsification. This is the case for Ophiopogon japonicus and Liriope spicata, two plants that look alike when non-flowering, but that bear a specific analytical profile. Another question to address is the origin of the plant. Where does the plant come from? How has it been sourced? Is the plant coming from a wild harvest or has it has been cultivated? And finally, is the plant available in large quantities enabling an industrial scale production? All considerations that have to be acknowledged when working with natural raw material sourcing. Today, naturality is one essential criteria of a cosmetic product that is pushed by eco-conscious consumers and offered by most of the actors in our field. Mastering Nature requires rigor with a long list of requirements to be considered to deliver high-quality and effective products. As the number of naturally-derived products keeps on growing, one major challenge that remains will be to sustain constant innovation while developing naturally-based products. Dr. Carine Mainzer joined Silab in 2016 as a Scientific Support Manager. 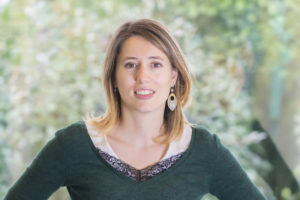 Before joining Silab, Dr. Carine Mainzer was a postdoctoral scholar in the Department of Dermatology at University of California San Francisco under the supervision of Dr. Peter Elias and Dr. Yoshikazu Uchida, where her work focused on the communication between inflammatory cells and cutaneous cells under bacterial challenges. She obtained her Ph.D. from the University of Lyon (France) in 2014 with work focused on the involvement of the Insulin-like growth factor (IGF)-1 on epidermal differentiation and aging. Dr. Carine Mainzer has been within the cosmetic industry since several years now, working notably with Johnson & Johnson Consumer France, Natura and Silab. Her current position offers her the opportunity to continue applying her scientific expertise to the research problematics of the cosmetic industry in various domain around skin.